Discussion in 'Wii' started by BitBuiltBot, Apr 5, 2016. BitBuiltBot The Official Bot of BitBuilt Site Robot . Before proceeding further, you must first determine your board revision. Please use the Revision Identification Guide. 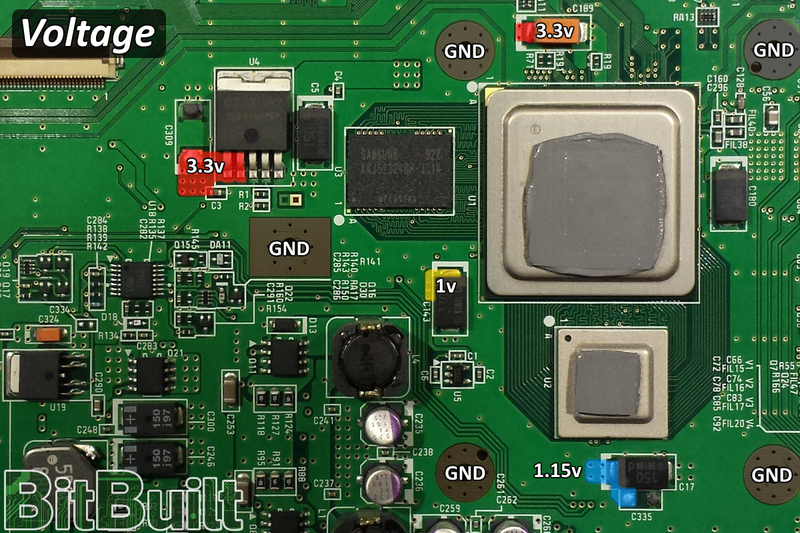 This guide is primarily designed to be used with CPU-40 boards and higher. 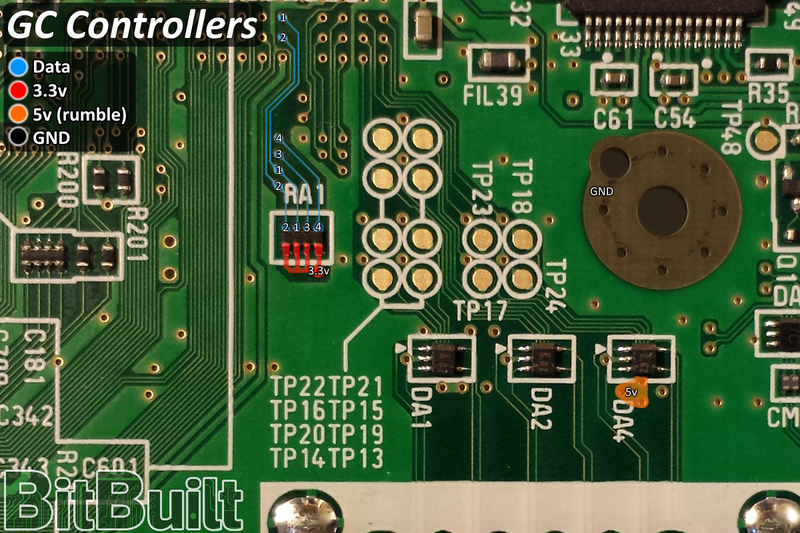 If your Wii is a 6-layer board, you will require the information in this guide as well as the 6-layer expansion guide. Neither this guide nor the 6-layer expansion supports relocating the disc drive. 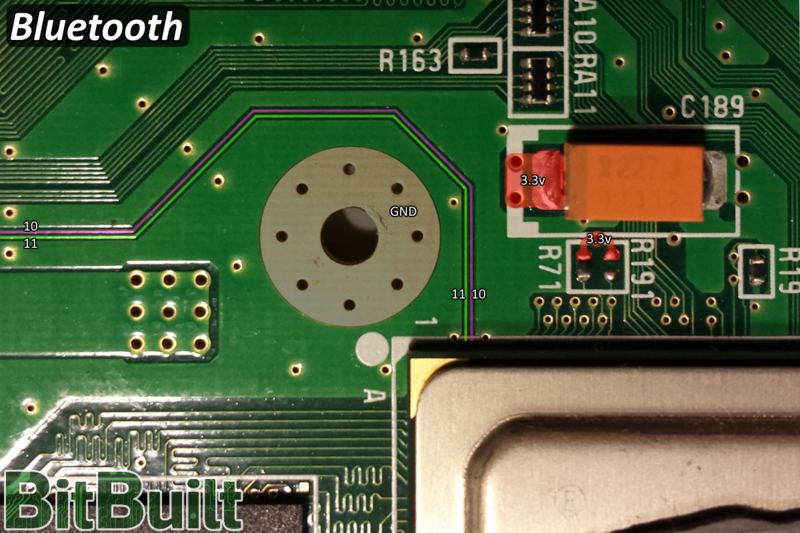 With the systems in PortablizeMii, retaining the disc drive offers no significant benefit for the difficulty involved in soldering onto 0.1mm traces next to the GPU. 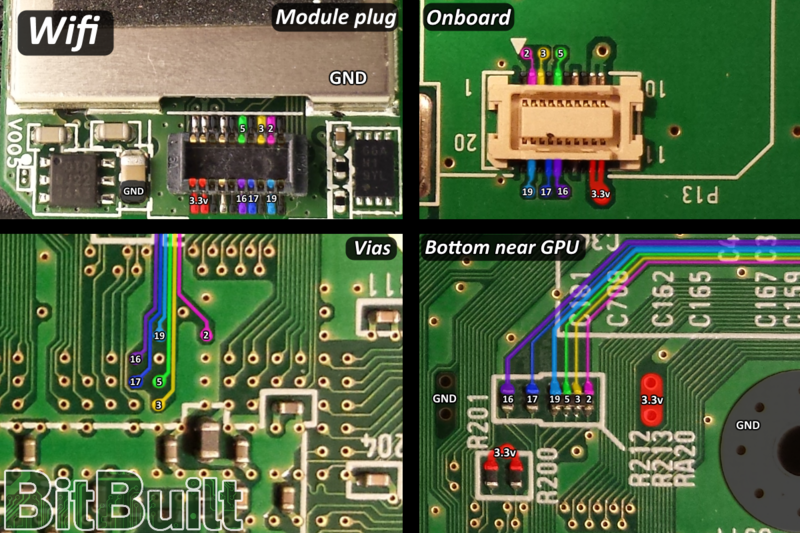 This guide is designed to be used hand in hand with PortablizeMii - a softmodding setup designed specifically for trimmed motherboards. It is the only supported softmod pack on BitBuilt, and is required to be installed before trimming. Failure to do so will result in Wifi relocation being a requirement for the motherboard to boot. The latest pack will always be available at portablizemii.bitbuilt.net, and will continually be updated to reflect and refine the state of portablizing. Remember: anything can go wrong once the board is cut. It is vital to ensure the console is fully functional since this will establish a known working baseline condition prior to trimming. This entire guide has been designed around one specific trim. The Wii is different from the GameCube in that trimming less things off is harder to properly support as there are more issues with determining what remains connected and what doesn’t. There are also certain wiring requirements such as Bluetooth that even on larger trims require the same difficult relocation to 0.1mm traces. Note: You may want to consider performing relocations before trimming the board to allow easier verification of a working system. Once ready to trim, cover everything inside the red lines with masking tape, and then cut slightly outside the red line. It is safer to cut this way and then sand down the board to meet the line. Once the shape has been cut, sand the edges of the board down with at least 600 grit sandpaper to ensure the internal layers are not bridged. The large black component that the bottom left diagonal line cuts through can be removed with no problem. Otherwise, the console will display the infamous black screen (or no signal at all). With the NoWiFi cIOS installed, Wifi is no longer required, and Bluetooth is only required if you're booting into Wii games. Bluetooth is the most difficult relocation on the entire board. 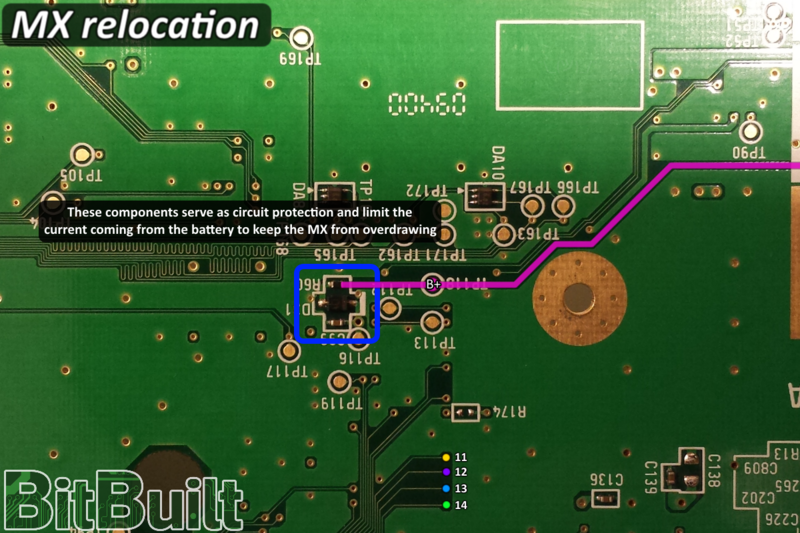 It has a unique design in that the two required data traces(pins 10 and 11) go straight from the resistors near the plug, all the way to pads underneath the GPU without using vias. This means the only way to reconnect bluetooth properly is to scratch the solder mask off the 0.1mm traces and solder wires directly. It can be done with 30 gauge wire, but using 32 gauge or higher is recommended for these two data lines. For 3.3v and GND, use 28 gauge or thicker. Note: While difficult and intimidating, it is only two wires, so take your time as if left unconnected, the console will only support GameCube. It is also recommended to mount your bluetooth module to reduce the risk of breaking the joints or otherwise damaging the traces. If these test pads are not visible on the bluetooth module, lift the sticker, as all modules have these test pads underneath. 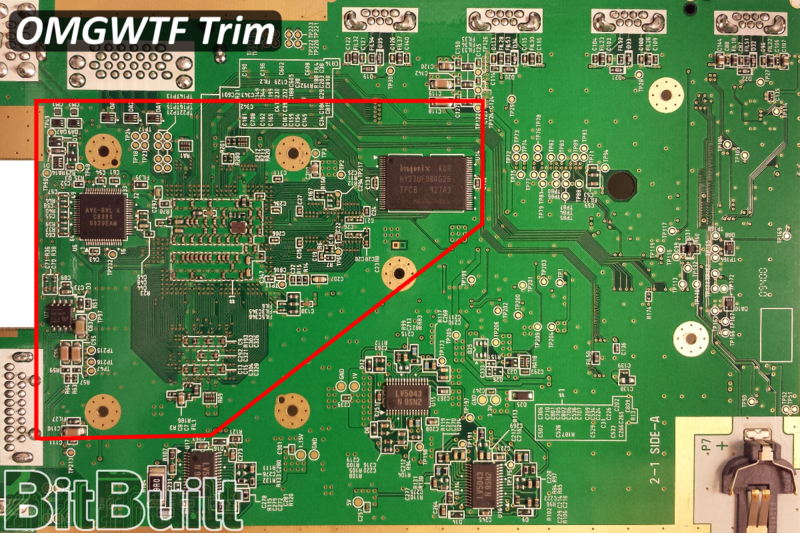 In order for the Wii to boot up, the GPU must receive a delayed 3.3v signal connected to the via pictured below. The delayed signal is generated by the U10 IC located near the MX chip. The easiest method of solving this problem is by removing the U5, a convenient component with the same footprint as the U10. It is located next to the GPU and CPU and is only used for the internal voltage regulators which are replaced by custom regulators. Note: The U5 IC is NOT the same as the U10 IC, and must be removed for this to work. 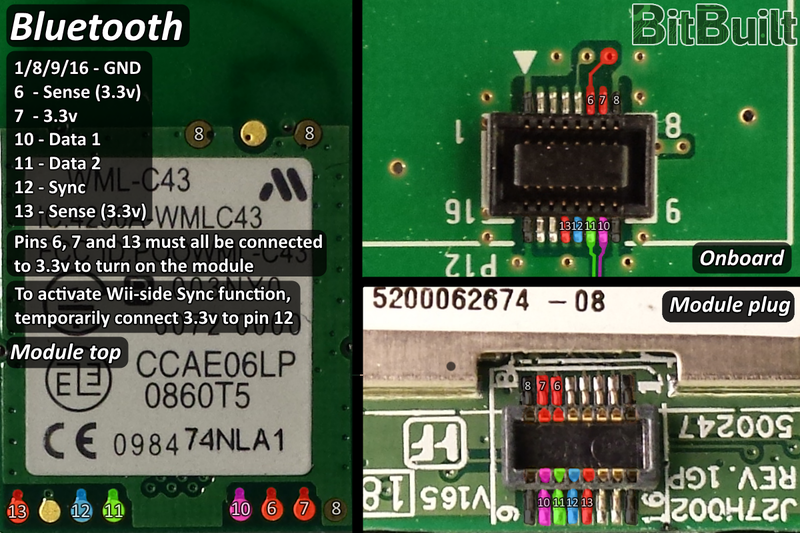 You must also remove the 3 smd components (C1, C2, and C6) around U5 as well. In order for custom regulators to work properly, all onboard regulator components need to be removed. 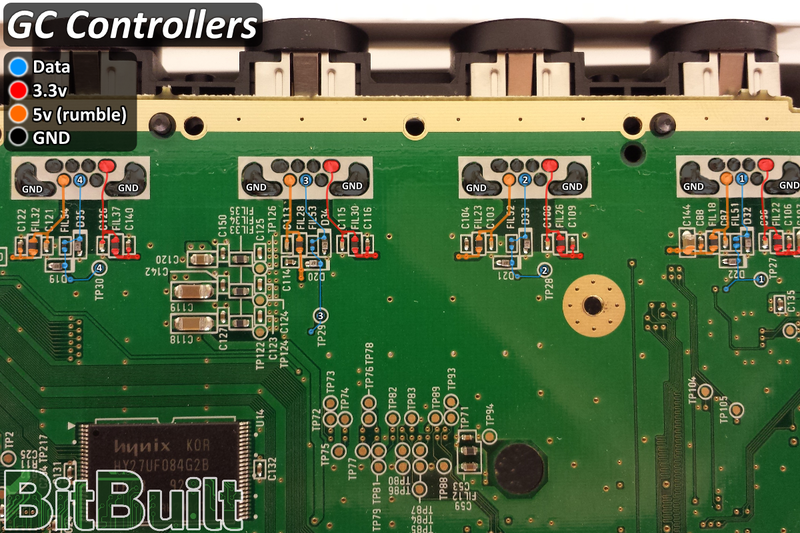 It is recommended to trim the motherboard first as shown at the start of this guide to remove them before connecting the custom regulators, as the onboard regulators will cause issues and the Wii will not boot. Note: the 1v and 1.15v cannot be powered on the same voltage and must be connected to dedicated 1v and 1.15v regulators. 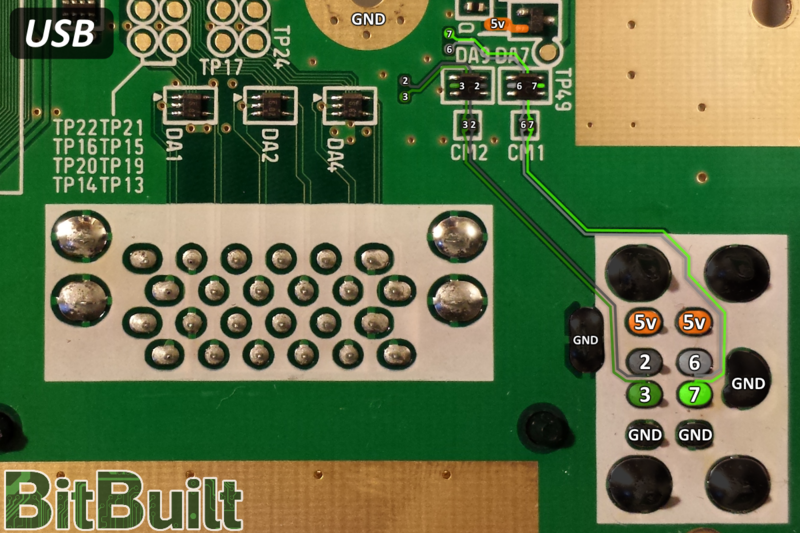 5v is not required for the board to boot. It is only used for USB, GameCube controller rumble, and the memory card slots. Consider connecting this voltage directly from the regulator to these peripherals. Here are multiple alternate points to connect audio and video to. 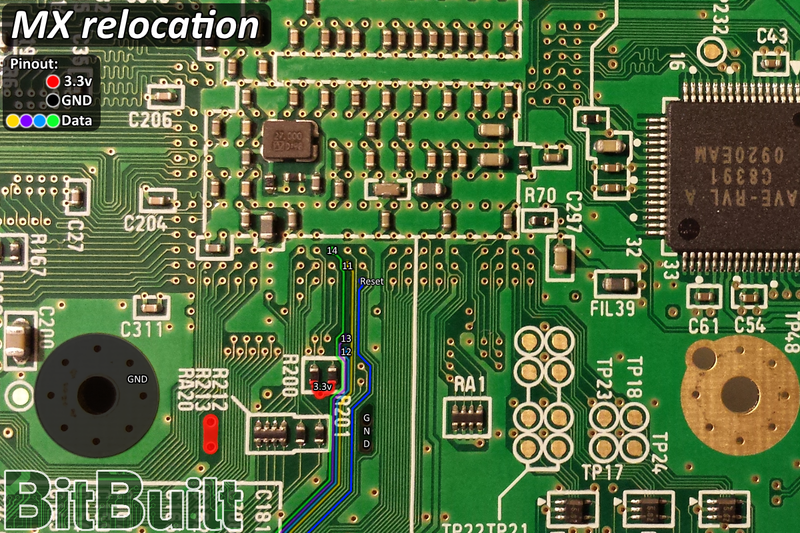 Mode is only required for component or RGB(PAL) and the “data” pins are only required for NTSC-J consoles. USB is required for PortablizeMii. It is essential for homebrew and launching games. 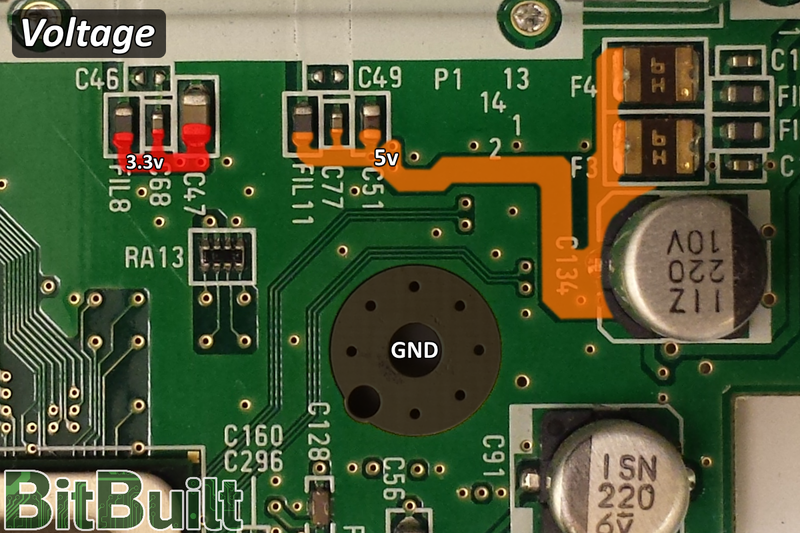 You can directly connect 5v to the slots from your regulator; it does not need to be connected on the actual board. Note: It is recommended to connect the data lines to the CM1 and CM2 components for added safety, especially if using an external USB port; as a bad drive or device has potential to damage the USB data lines going to the GPU. GameCube controllers can be used for virtual console, as well as homebrew and standard GameCube games. The controllers only need 3.3v, data, and GND to function properly. 5v is not required, as it is only used for rumble. Similar to wifi, it also requires soldering to resistor arrays so 30 gauge wire is recommended. 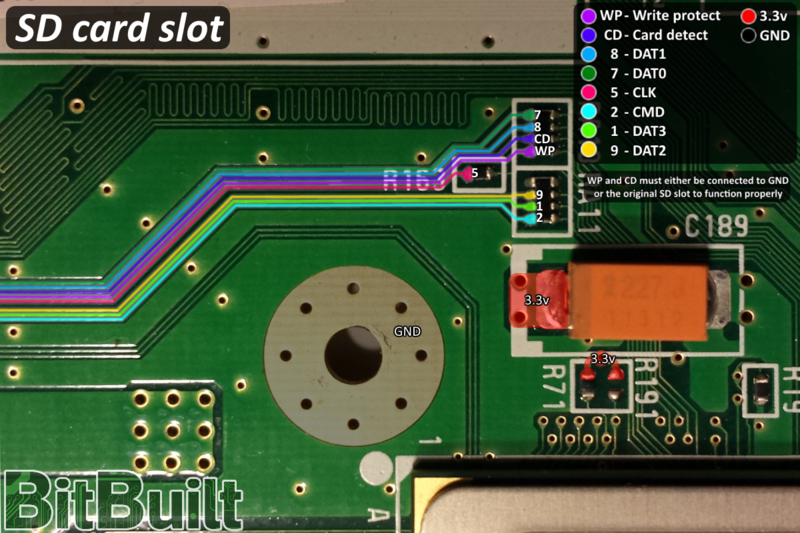 If using a 3rd party SD card slot, reference your schematic to determine reconnecting pins CD and WP, or if lacking that functionality, directly connect those two pins on the Wii to GND. Nintendont supports virtual memory cards eliminating the need to use physical memory cards. However, it is optional to connect them in order to save data to or from a physical card as opposed to a virtual one. This can be a useful alternative to virtual memory cards since save data cannot be easily transferred between the two within Nintendont. 5v is not required, as it is only used for specific peripherals such as the GameCube microphone. 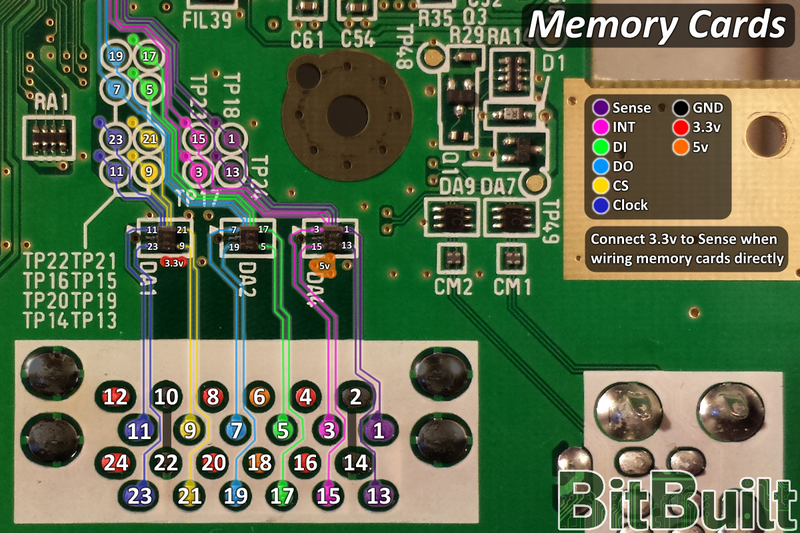 The MX chip serves various functions on the Wii, however by eliminating the disc drive and using custom regulators, only two of its functions remain relevant: GameCube font data and Real Time Clock. PortablizeMii includes a custom version of Nintendont that resolves missing GameCube font data, as well as multiple emulators patched to remove that same reliance. 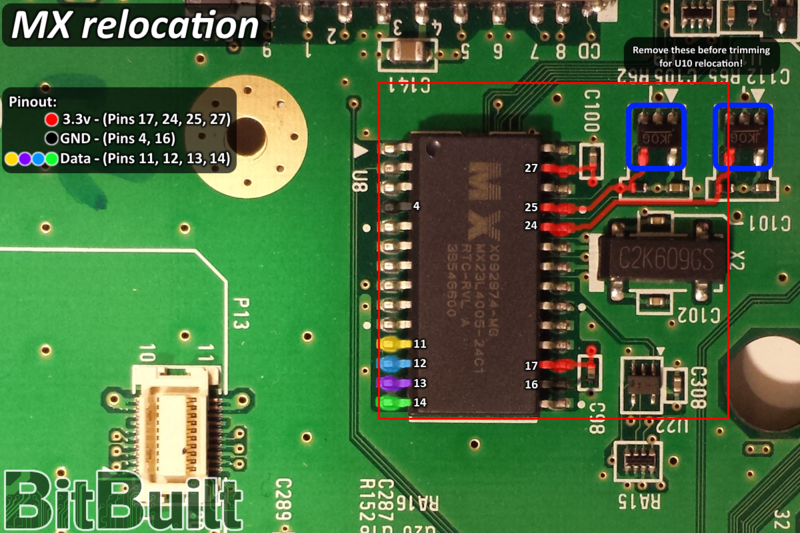 There is no known solution to restoring RTC aside from relocating the MX chip. 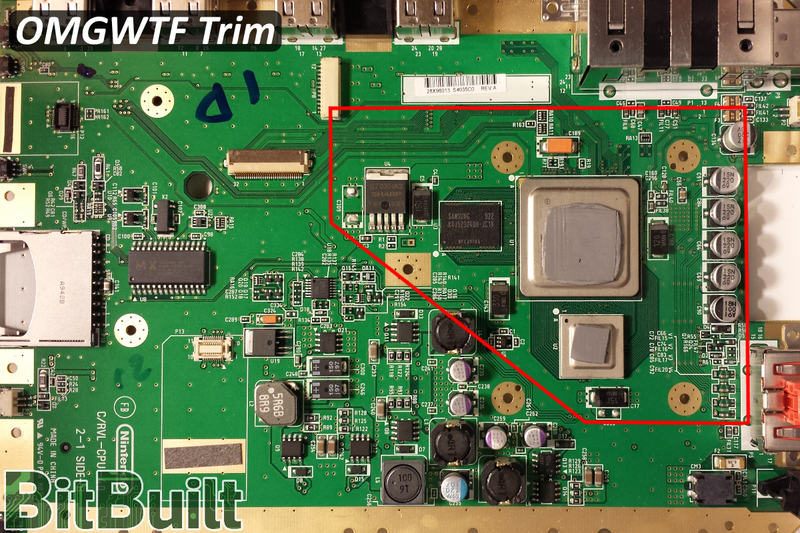 Trim this section out of the board as shown in order to retain the required components. Note: To activate reset, temporarily connect this pin to GND. Wifi is wired directly to resistors on the bottom side of the motherboard. It is still recommended to use 30 gauge wire for the data lines, as the pins are close together. Note: It is CRITICAL that the 6 data wires are as short as possible. This guide is the culmination of months of research by a large group of individuals. However, since we are only human there is a chance that there may be mistakes. If you find something, please post it somewhere and tag @ShockSlayer as he has all of the original project files for the images and can make updates if necessary. Thanks for reading! Marsh J., Tobaganner, ToddyHD and 31 others like this.